Specialising in contemporary kitchenware, Joseph Joseph is now internationally recognised for producing some of the most stylish and technically innovative products available, and has become one of the fastest growing companies in the worldwide homewares market. Their unique ability to match form and function has earned them global recognition for their multi-award-winning designs including the Index Chopping Board, Hands-On Salad Bowl, Y-Grinder, Nest 8 and Chop2Pot. 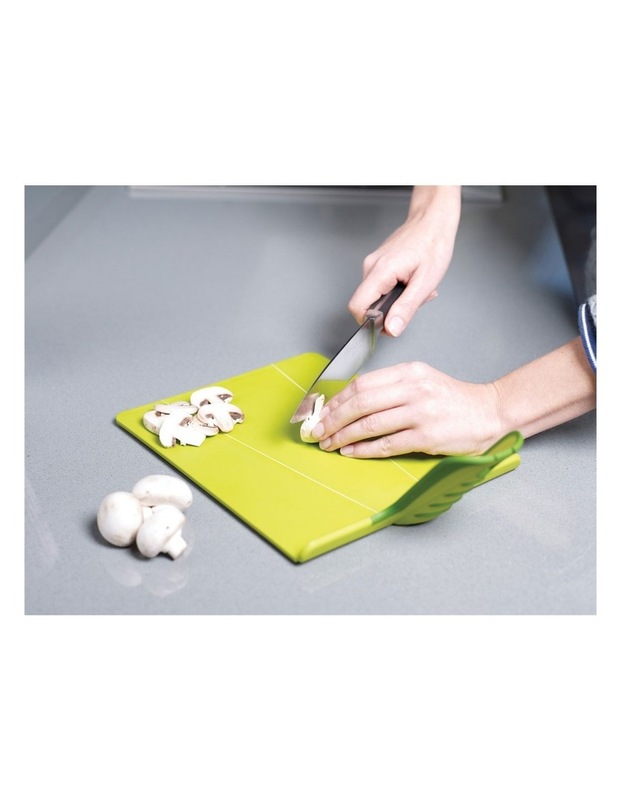 The original folding chopping board now even better Our original award-winning folding chopping board has now been improved with the introduction of Chop2Pot Plus. 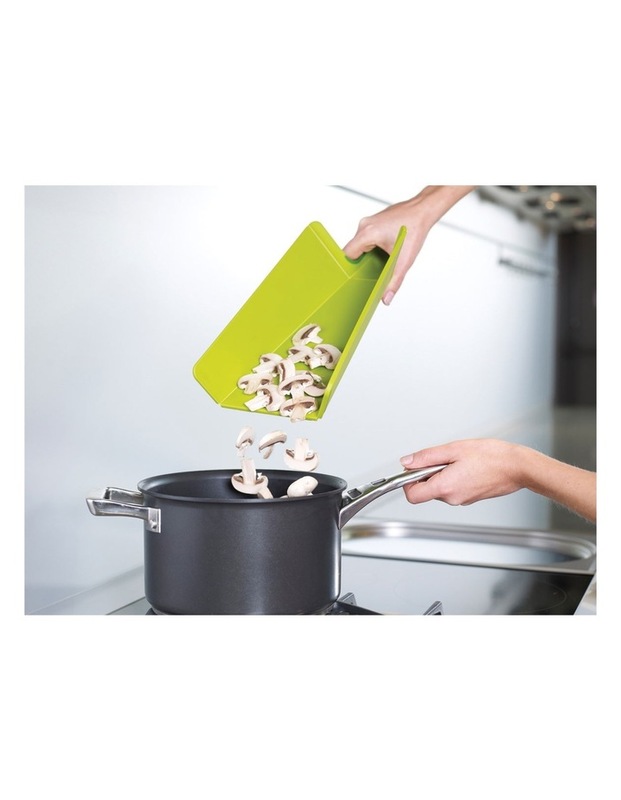 The design still employs the same proven living-hinge technology - allowing the board to be folded into a chute down which chopped food or waste can be neatly guided - but with the added benefits of a comfortable soft-grip handle and non-slip feet. 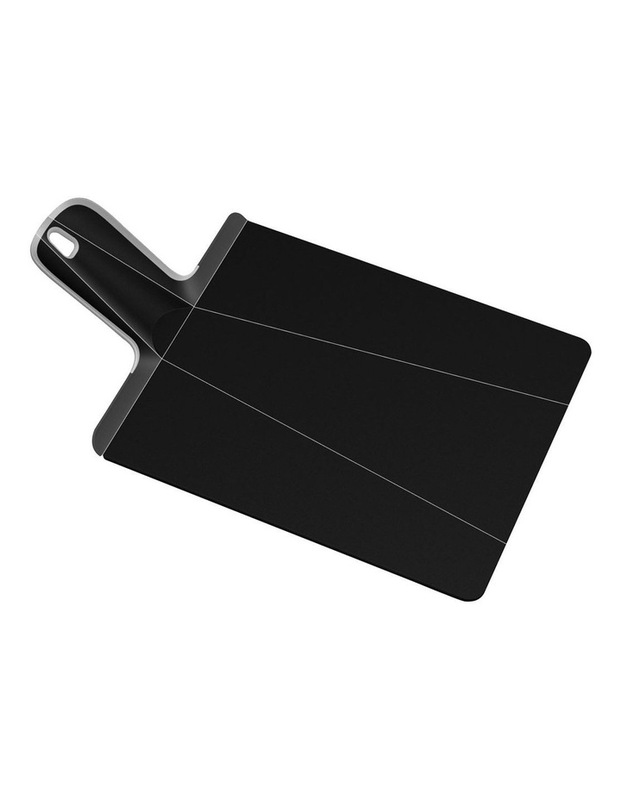 Made from the same knife friendly durable polypropylene.